The Kernersville Chrysler Dodge Jeep RAM group is pleased to offer its newest line of 2016 vehicles to its showroom floor with the commercial cargo van the 2016 RAM Promaster City. The Promaster City is a compact commercial cargo van that can also transform into a passenger fan. The Promaster City comes packed with top rated cargo features to its interior space, along with its exterior, power and performance features to its four trim models offers from the Tradesman Cargo Van, the Tradesman SLT Cargo Van, the Wagon, and the Wagon SLT. 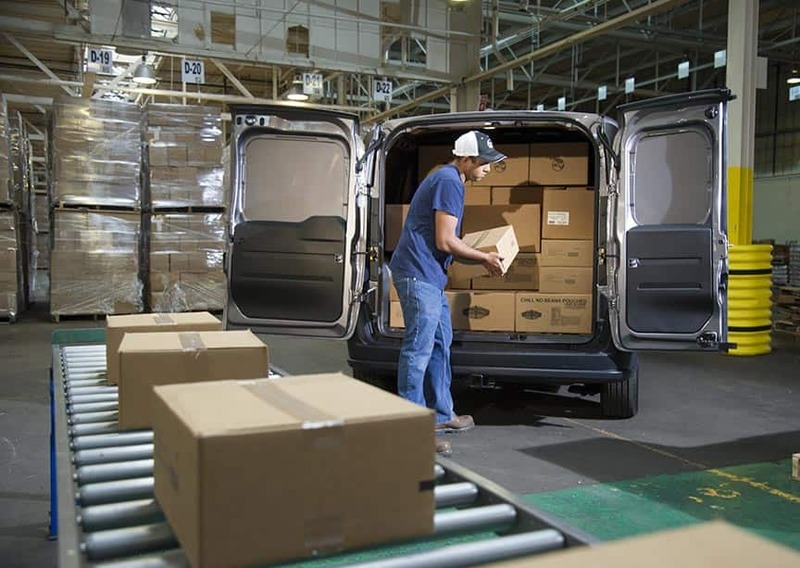 Let's take a look at how the RAM Promaster City is the perfect commercial cargo van for your business and any type of business. Every Promaster City comes packed with a top of the line engine system that gives the cargo van a smooth ride with its performance to keep its interior cargo safe. The cargo van offers a 2.4-L Multiair 2 Tigershark system that offers an inline 4 cylinder with a 948-TE nine speed automatic transmission to helps produce the best power when on the road. The system produces power of 178 horsepower with 174 lbs-ft of torque pressure, while also providing the best in class towing capabilities with up to 2,000-lbs with a maximum payload of up to 1,883-lbs. The Promaster City also provides its best fuel performance by offering 21-city/29-highway MPG giving a combined 24-MPG on its 16-gallon tank. 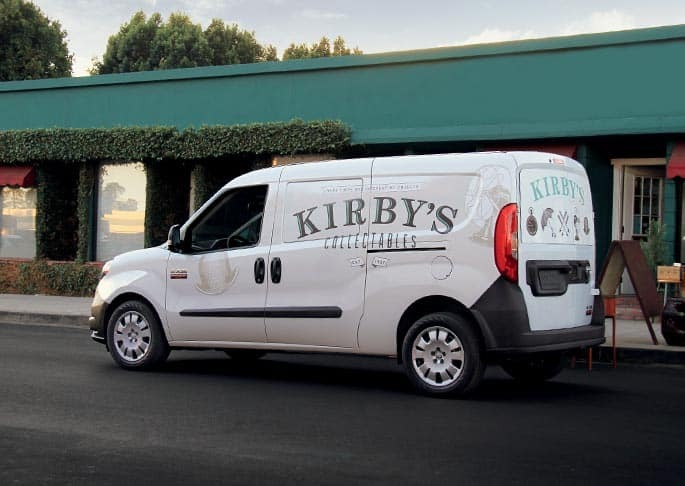 The performance of the cargo van helps give a smooth drive on the road or in the city with its Hydraulic-assist rack-and-pinion steering system that helps deliver a competitive turning radius of 41.7-ft, so you can maneuver easily on city streets. 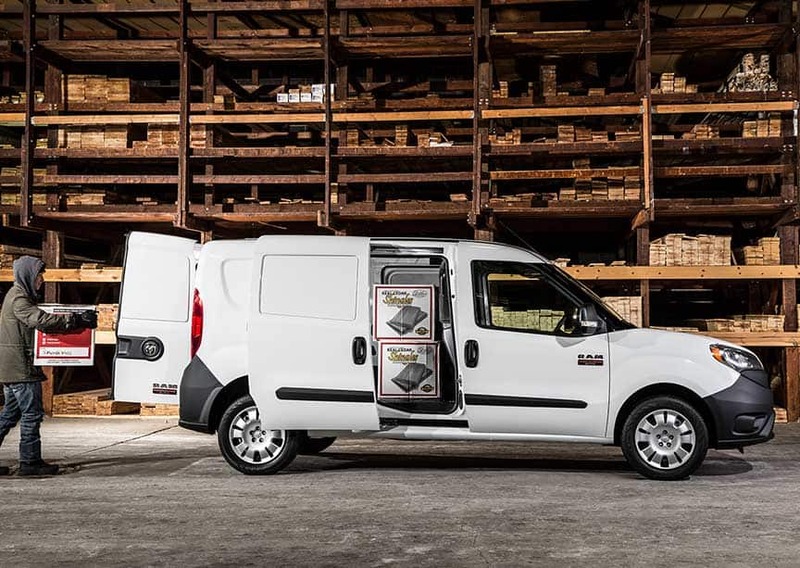 The Promaster City offers a top-notch interior cargo system with an exterior look for any commercial business. The exterior comes as a fluid body looks with smooth corners for a small commercial van. Offering a 60/40-rear split door feature, the small cargo van locks its rear doors at a 90-degree angle and can also swing open to 180-degrees. The cargo van also gives low step-in heights giving up to 21.5-inches at the rear and 18.8 inches on its side while giving a cargo area height of 51.8-inches. The interior of the small van brings plenty of cargo space of up to 131.7-ft of cargo space and 48.4-inches between wheels and 87.2-inches to the rear interior cargo length. The small cargo van can also provide seating features of up to seven extra passenger configurations. What is the Rocky Ridge RAM? Where is Kernersville Chrysler Dodge Jeep RAM located? What other RAM trucks do you currently offer? The Promaster City provides the best safety features to keep its driver, passengers and cargo safe and secure by offering up to 34 safety and security features. The small cargo van provides up to seven standard airbags with airbags with parking detection features, state of the art brake systems, and plenty of other amazing security features to add to its system. The 2016 RAM Promaster City is the best small commercial cargo van that is suited to any small business or personal need. If you are looking to expand your business, head down to the Kernersville Dodge Chrysler Jeep RAM dealership today to find the best commercial deals.